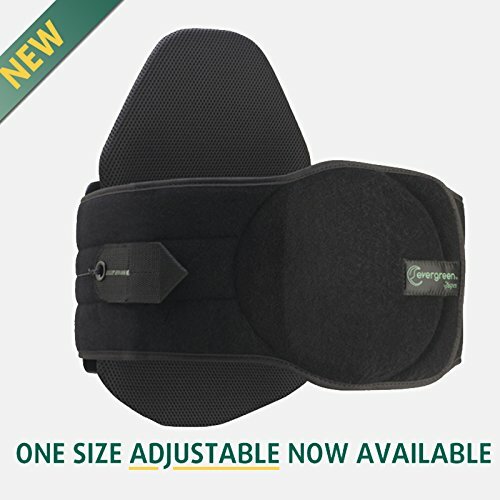 The NEW Adjustable Evergreen 631 LSO LoPro delivers effective pain relief and lumbar support. This simple, low profile, one size adjustable brace treats a variety of indications from chronic and acute pain to post operative patients. The back panel provides motion restriction, limiting flexion and extension in the lumbar spine. Measure the widest part of the waist for proper measuring. Fits 28-54" waist. Purchase our "Aspen Extension Panel" to enable fitting a 55-64" inch waist circumference. Simple pull-through sizing enables easy adjustment to fit waists 28" - 54". No cutting required. Patented 4:1 mechanically advantaged tightening system independently tightens top and bottom. Localizes compression where it's required. If you have any questions about this product by Aspen Medical Products, contact us by completing and submitting the form below. If you are looking for a specif part number, please include it with your message.